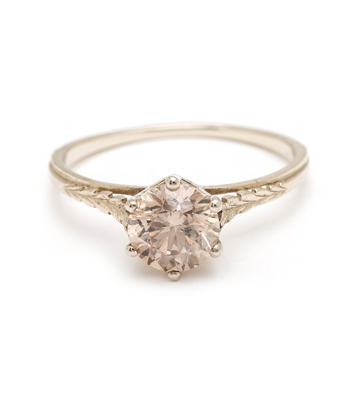 Petite and sweet. 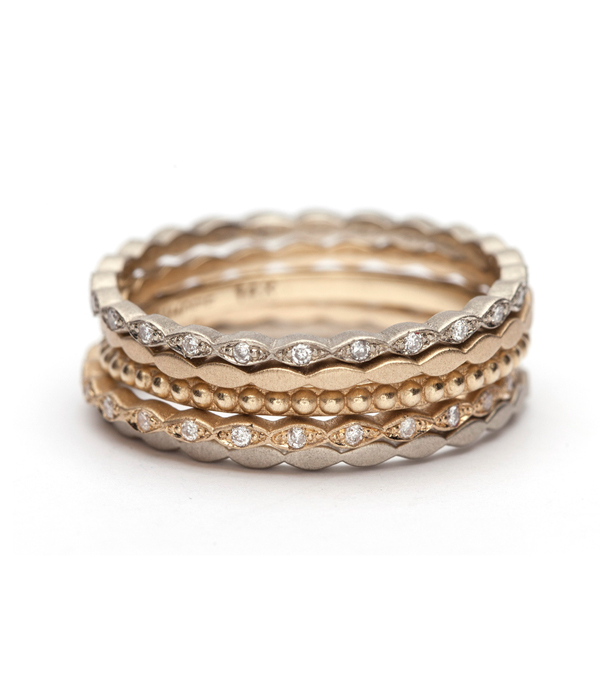 This ultra-tiny marquis eternity band adds a textural, vintage-inspired element to any stack. 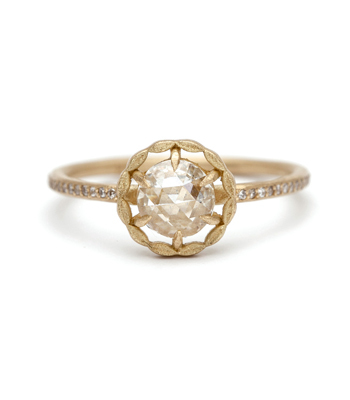 Each gold leaf features a pave set diamond, making it as delicate and sparkly as can be. 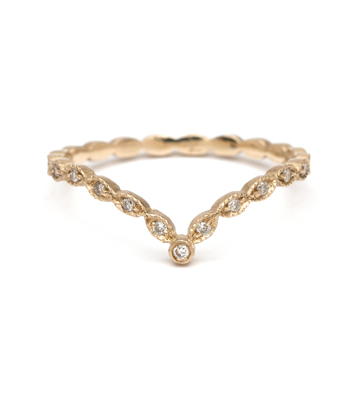 Add some bohemian charm when layered with your favorite sparkly solitaire or with any one of our exquisite Alethea bands. 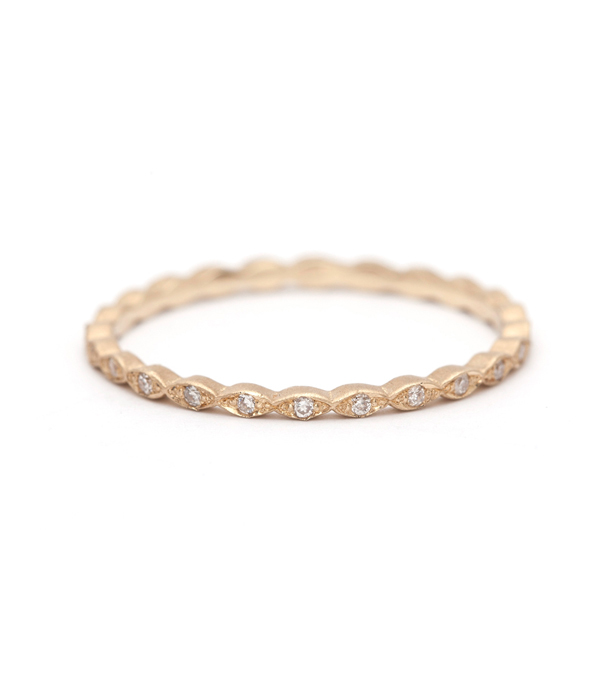 We think this detailed diamond eternity band would make a lovely wedding band for the vintage-inspired bride. 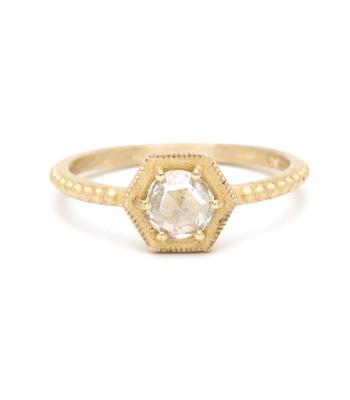 A must-have for any serious stacker. 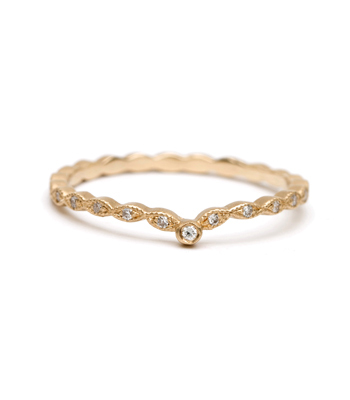 This 14K gold diamond stacking ring is set with 0.10ctw of sparkling white diamonds and is handcrafted by our artisan jewelers in Los Angeles. 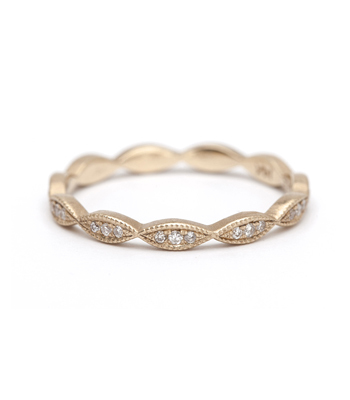 Categories: Alethea, Eternity Bands, Rings, Stacking Bands, Stacking Rings, Women's Wedding Bands.